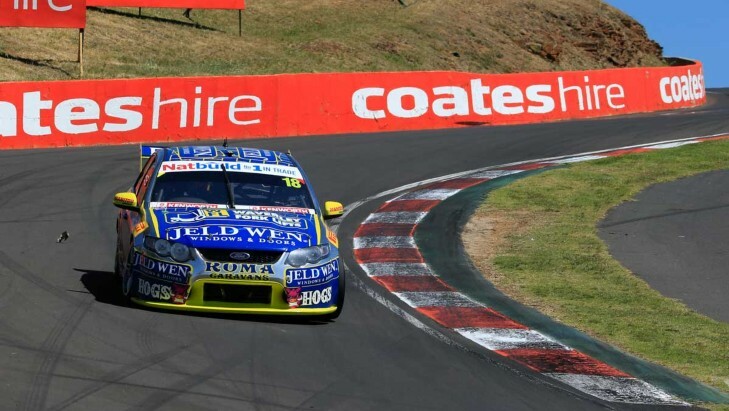 Charlie Schwerkolt Racing has announced the signing of Lee Holdsworth to drive the team's #18 Ford in the 2015 V8 Sueprcars Championship and beyond. One of the race-winningdrivers in the Championship, Holdsworth most recently took victory at the Winton 400 earlier this year, complementing his two previous wins. Holdsworth's best finish in the Championship was seventh in 2010, and he spent four years in the Championship Top-10 from 2009 to 2012. 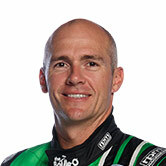 He will join CS Racing after two years with Erebus Motorsport. Team owner Charlie Schwerkolt said when the opportunity arose to sign Holdsworth to CS Racing, he didn't hesitate. "Lee has always been seen as one of the top drivers in the V8 Supercars field and his consistency and attitude has always impressed me," said Schwerkolt. "Lee is one of those guys that you know, given the right equipment and the right environment, will be at front of the pack. I'm incredibly excited to have been able to secure his services, and I know that we'll be able to do great things together," he said. "When you combine his champion qualities with the fact that he's a genuinely nice guy, you've got a package that's tough to beat. Being able to bring Lee's skill to the #18 is brilliant, and I believe it will be a consistent, race-winning combination. "I'd also like to take the opportunity to thank Jack Perkins for his professionalism this year, and throughout the transition period as well. He's a great guy, we've enjoyed working with him and hope we can again in the future," Schwerkolt said. Holdsworth said the opportunity to join CS Racing was hard to look past. "I'm really excited to join Charlie and FPR next year," said Holdsworth. Holdsworth delivered Erebus Motorsport itsfirst win in V8 Supercars this year at the Winton 400 but said the past two seasons had been trying, as he developed a new team with a new manufacturer. "It's no secret that it's been a hard slog over the past couple of years but it didn't stop me rising to the challenge when I got a sniff at a result. When you're trying to develop a new package things don't always go to plan so at times it's been painful, but you have to stay motivated and get on with the job. "Knowing what opportunities lie ahead though, brings me a new level of motivation and enthusiasm and I'm looking forward to the future with my new team." Holdsworth's first drive of the #18 Ford will come at next year's sydney.com Super Test at Sydney Motorsport Park across the weekend of February 7-8. There are two events of the 2014 V8 Supercars remaining, including this weekend's Fitness Plus Phillip Island 400. Will a Champ be crowned?